2014,New products wookwick tin for garden use .100% soy candles. Our main products are pressed tea light candles, moulded color tea light candles with various scents, floating candles, pillar candles, taper candles, spiral candles, church candles, votive candles, cemetery candles, glass candles, gift candles, and candles used in home, bars, churches or Buddha Temples. The facilities we possess include a packaging shop, candle-wick knitting and processing shop, a raw material and material auxiliary treating shop and warehouses beside the manufacturing shops. We also have our own laboratories. 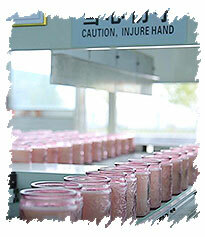 Our laboratories enable us to constantly test, improve and develop new candle product lines. We have global recognition from our customers for our dependable quality, competitive prices, punctual delivery and excellent service. So far we have been exporting mainly to America, EU, Middle East, South-east Asia, Africa markets Etc. We have been pursuiting the perfection of our products to meet the different customers’ needs and requirements. We now have the ability to supply more than 1000 tons of various candle products and the value of our output is more than ten million Dollars yearly. We＇d like to develop business cooperation with customers from all over the world, based on honesty, equality and mutual benefit. We would be glad to be cooperating with you to create a bright future. If you are interested in any of our products or have any questions, please don＇t hesitate to contact us. British wholesale directory of trade suppliers, importers, wholesalers and manufacturers supplying wholesale products to traders. Copy right @ Qingdao Surely Bright Products Co.,Ltd.